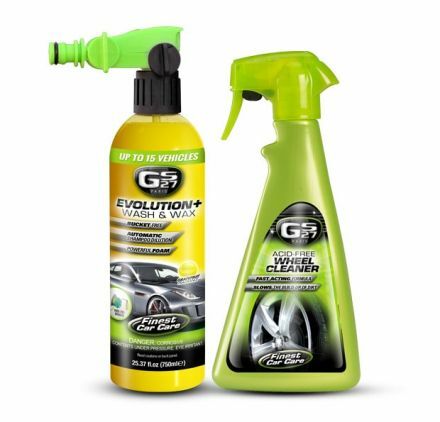 Check out our Washing kit for your car care, cleaning & washing that includes a car shampoo Evolution + and an acid free wheel cleaner to wash & clean your car. 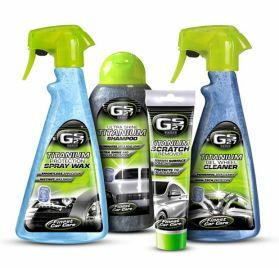 Easily & quickly wash & clean your vehicle. 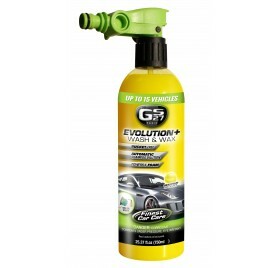 GS27® Paris Evolution+ Wash & Wax has its own specific sprayer, so you can connect it directly to the water supply. No more bucket needed: the dilution is dosed automatically through the hose-end sprayer. 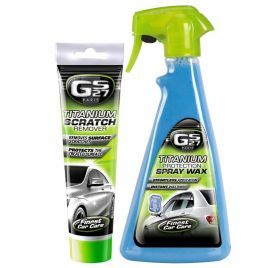 It is very practical: just spray directly onto your car. 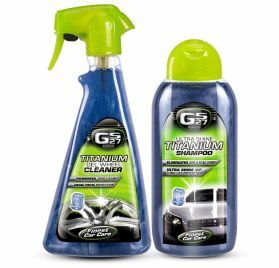 Its powerful, rich foam is ultra-degreasing and leaves a shiny finish. Its grapefruit fragrance makes it enjoyable to use. 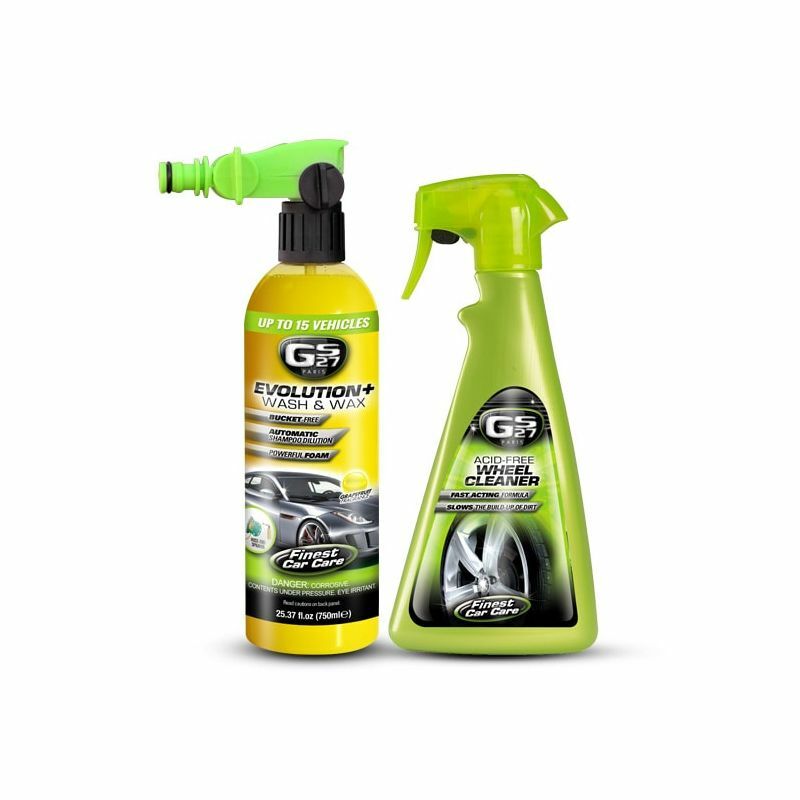 With one bottle, you have enough for up to 15 uses. Application: On all paints (varnished, metallic etc) . 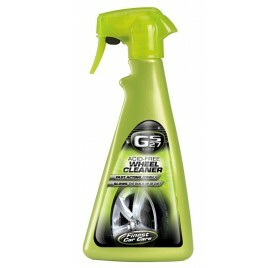 GS27® Acid-Free Wheel Cleaner easily cleans off grime, grit and brake dust on your wheels or plastic hub caps. 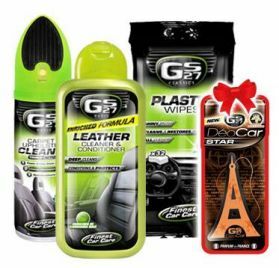 Its reinforced formula acts quickly, protecting the wheels and preventing dirt from clogging. 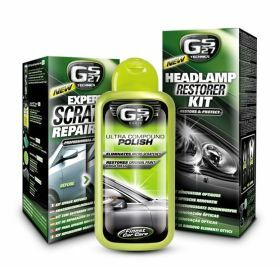 For all types of wheels and plastic hub caps in good condition. N.B. 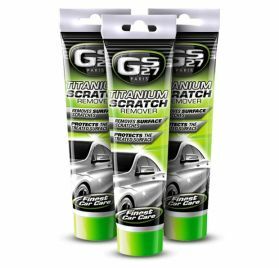 : do not use on polished, non-varnished aluminium wheels or on damaged wheels.